The tragic conflict between men of faith and men of science has its origins in a false notion of history: a notion that the Middle Ages stultified scientific exploration and scholarship. 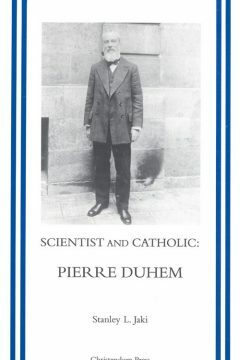 French scientist Pierre Duhem dedicated his life to examining this problem. For years, however, his works were inaccessible to English-speaking scholars. Stanley Jaki makes available for the first time a systematic treatment of Duhem’s work along with twenty-seven selections (in English translation) from his writings. This book is a powerful testimony to the unity of faith and reason.